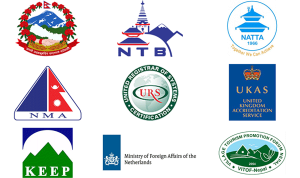 Being a small country, Nepal has 10 UNESCO World Heritage sites. We all know it very well. But how many of you know that seven of the 10 World Heritage site of Nepal is just in Kathmandu. Yes, you read it right. Seven out of ten world heritage sites of Nepal is situated in and around Kathmandu. What is more interesting is that all these World Heritage sites are within 20 KM radius. Hence, a single day is enough to visit and explore all these World Heritage sites in Kathmandu. Kathmandu is the city with the highest number of World Heritage site in the world when compared to any other city. These cultural sites have been nominated as world heritage sites based on their cultural and natural values. Pashupati Nath is one of the most important pilgrim destinations for all of the Hindu pilgrimages. It’s situated just 3 KM from the Tribhuvan International airport in Kathmandu. Pashupatinath is the Hindu temple of Lord Shiva which is situated on the banks of holy river Bagmati. Lord Shiva is the one of the supreme God in the Hindu mythology. The temple was constructed by Kind Bhupitendra Malla in the 17th century and has been in the same form since then. This temple has been spread out over a massive region. The main entry is for Hindu individuals is on the western side. Tourists may summit inside, or move on the opposite side of this river to have a glimpse of this temple complex from over. The temple observes a huge number of pilgrims during Shivaratri which falls between February and March. Shivaratri is one of the major Hindus festivals and thousands of people from the different corner of the world comes to visit this temple to worship Shiva. 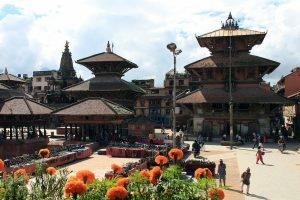 Kathmandu Durbar Square is situated at the center of the Kathmandu valley and is popularly known as Hanuman Dhoka Palace which means the Gateway of Hanuman – the monkey God in Hindu mythology. The Palace is named after the Hindu Monkey God, Hanuman also is painted entirely red right alongside the primary entrance (the Golden Gate) of this Palace. He is believed as the guardian of the entire Durbar Square area. Kathmandu Durbar square is one of the three medieval kingdoms of Kathmandu valley which was once ruled by Newari Malla kings. The Durbar square features temples, palaces, courtyards and statues from the 17th century. Also, you can observe the beautiful Taleju Temple, Jagannath Temple, Kal Bhairav; statue of the King Pratap Malla in praying gesture, a 17th Century Kumari Temple along with the Kasthamandap at this place. Bhaktapur Durbar Square is the main the focus of Bhaktapur sightseeing, but it is not the only impressive place to see in the city. 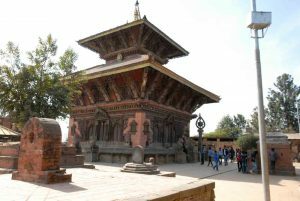 Bhaktapur contains a lot of temples and places of interest because you can see. It is unique as it is one of the few sights in Nepal that hosts a great variety of attractions with unique handmade designs at the same location. You can please your eyes with the medieval era structures and temples. The area also houses one of both pottery squares in Bhaktapur where you can find a close-up manufacturing of the pottery whose craftsmanship has been passed down from generation to generation. Bhaktapur Durbar Square is situated in the middle of Bhaktapur city. It is located in the center of Bhaktapur. Heritages of Bhaktapur Durbar Square is among the best collections of the medieval arts of Nepal. Patan city is one of the oldest cities in Kathmandu valley and it is also known as Lalitpur. 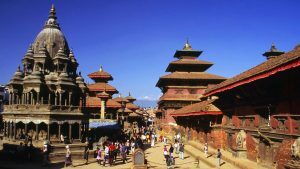 Patan Durbar Square is one of the main attraction of this city which is situated 8 km south-east of Kathmandu city. The city is believed to be founded in the 3rd century and is an open museum of the beautiful Newari craftsmanship. Changunaryan Temple in the Changu village is believed to be as one of the most ancient temples of Kathmandu valley. The temple showcases a fifth-century stone inscription and is the oldest discovery of Nepal. Changunarayan temple was built in the 3rd century and covers the sixteen hundred years in the history of Nepal. The temple showcases the best craftings of wood, stone, and metal in the valley. Swayambhunath is, perhaps, the perfect location to observe the religious harmony in Nepal. It is also known as the Monkey temple because of the presence of a massive number of monkeys around the temple. The stupa is among the most ancient stupa of Kathmandu valley. The worshippers of this stupa are diverse from Newar nuns, Tibetan monks and Brahmin priests to Buddhists and Hindus. The most prominent image of the Shakyamuni Buddha in Nepal is in a monastery near the stupa. Additional monasteries here have large prayer wheels, lovely Buddhist paintings and distinctive butter lamps that might be lit after paying a small denomination. Swayambhunath is a significant milestone of the Valley and resembles a beacon below the Nagarjun hill. 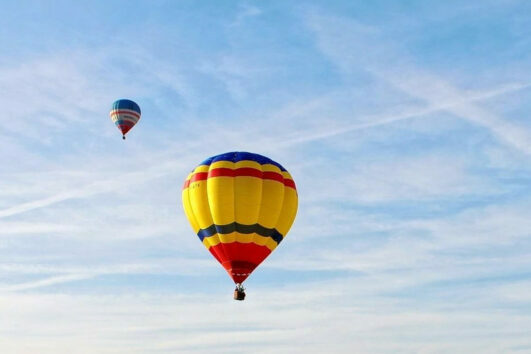 It provides a fantastic view of the Kathmandu Valley. Statues of the Buddha, miniature stupas, monasteries and monkeys make everyone excited to climb above the hill and enjoy the beautiful view of the temple and valley. Boudhanath is one of the largest stupas in South Asia, and it is one of the attraction points of Tibetan Buddhism in Nepal. The stupa is situated on the ancient trade route to Tibet and Tibetan merchants rested and offered prayers here for centuries. When refugees entered Nepal from Tibet in the 1950s, a lot decided to live around Boudhanath. They established many gompas and also the”Little Tibet” of Nepal was born. This”Little Tibet” remains the best location in the Valley to celebrate Tibetan lifestyle. Monks walk around in maroon robes. The stupa was built around the 5th century A.D. It stands 36 meters with a highly unique three level mandala style structure. The Buddhist people visit the stupa is enormous numbers during the Buddhist festivities. Boudhanath monument resembles quite a lot to the Swayambhunath Stupa. Read Experience: What to expect from trekking in the off season? Experiences from EBC and Gokyo. There are more than 1000 world heritage sites in the world. Here is the detailed list.